Ararat Rural City Council are currently undertaking bridge deck overlay works on Dogleg Rd, Glenthompson. This bridge was originally built with a number of concrete slabs that were made at the old Shire Depot, which is where the current Depot is now located. These slabs move and create gaps in the bridge over time. 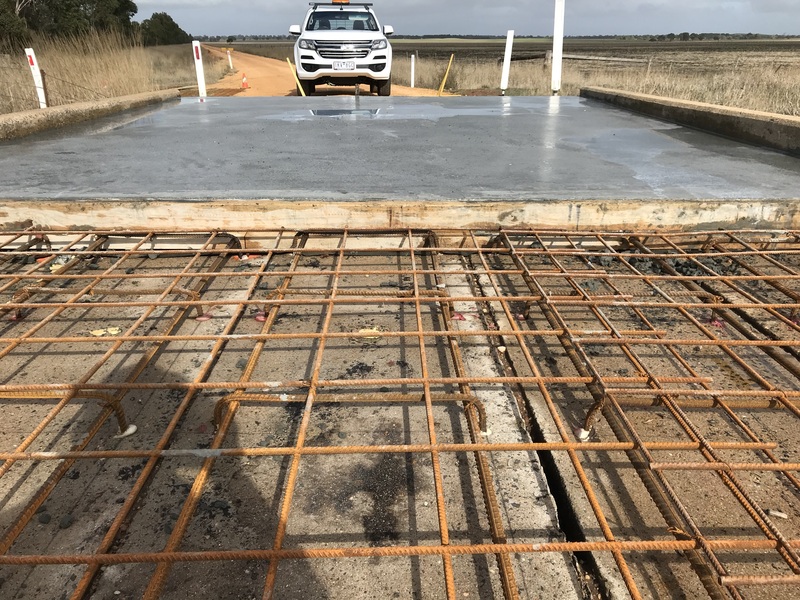 The new bridge deck overlay is a solid slab of concrete which holds the slabs underneath together and creates a new driving surface that is much stronger. It was anticipated these works would be complete by Friday 25th May, however due to rain we have extended it to Monday 28th May - road open to traffic on Tuesday 29th May.